South Adelaide Football Club is thrilled to announce ResourceCo as a joint major partner under a two-year deal, connecting one of Australia's largest resource recovery businesses and the South's most prominent sporting organisation. The partnership will see the ResourceCo brand appear on the front of South Adelaide's home and away guernseys for at least the next two seasons. CEO of the Panthers, Wayne Peters said, "South Adelaide Football Club is delighted to welcome ResourceCo as a joint major partner of our Club." "This partnership provides us with financial strength and sustainability to continue to advance our junior and senior football programs in the pursuit of sustained success. 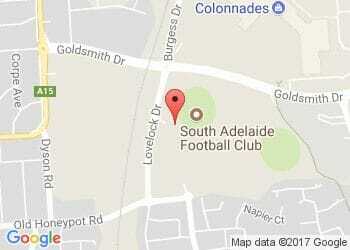 "ResourceCo are partnering with South Adelaide not only because of our elite football programs, but also because of our aspiration to provide the Southern suburbs with a community hub that extends beyond the playing field. "We look forward to working closely with ResourceCo as we continue to develop our football and community programs." ResourceCo Marketing Manager, Hannah Davis said South Adelaide's direction on and off the field were equally important when making the decision to sponsor the Club. "ResourceCo is committed to the recovery and re-use of material resources, which drives our business success, and shapes our ethos to give back to the community at large," said Mrs Davis. "We have various sites in the south and wanted to align ourselves with an ever emerging and prominent sporting group that not only plays an important role within the league but also gives back to the community. "ResourceCo has strong family and community values and we see South Adelaide Football Club as a great ambassador for the South and their community engagement is to be commended. "We hope to work together in this space while we are a joint major sponsor and we look forward to sharing in the highs of the 2016 season and beyond." ResourceCo is an integrated resource recovery business operating state of the art processing facilities that are able to manufacture a wide range of quality, recycled products from various material streams. They are one of the largest recycling businesses in Australia, accepting and processing over 2 million tonnes of waste per annum.